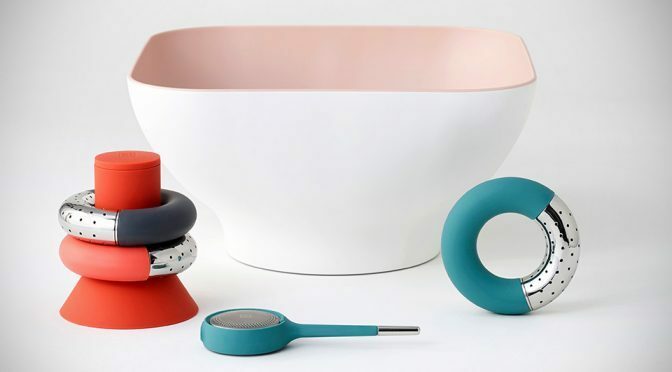 If you appreciate good kitchenware, you will appreciate what Hong Kong-based Italian designer Andrea Ponti has came up with. In a project for Ommo, a design-oriented brand, Ponti Studio introduces three lovely guys: Diga, Koma and Torus. Using curve lines and colors, the trio is as fun as it is functional. There’s no form follow function or vice versa; it is just form and function, and minimalist at the same time. 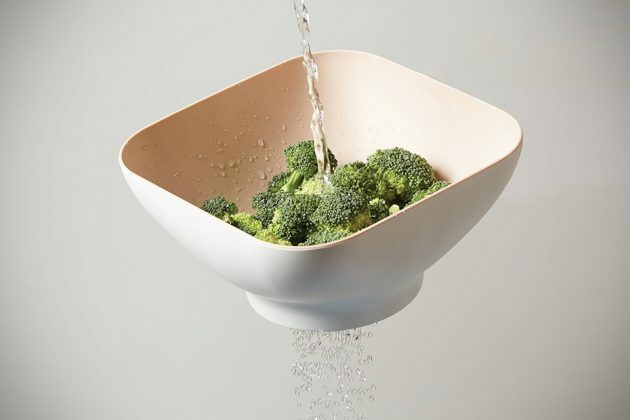 The first of the three, Diga, is a duo tone melamine salad bowl that hides a nifty feature beneath: a disk located at the bottom of the bowl allows the it to lock in water for washing vegetables and with a twist, it can be opened to drain out the water. 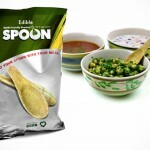 Closing the disk, the bowl can continue to be used as a salad bowl, which is what Diga is. 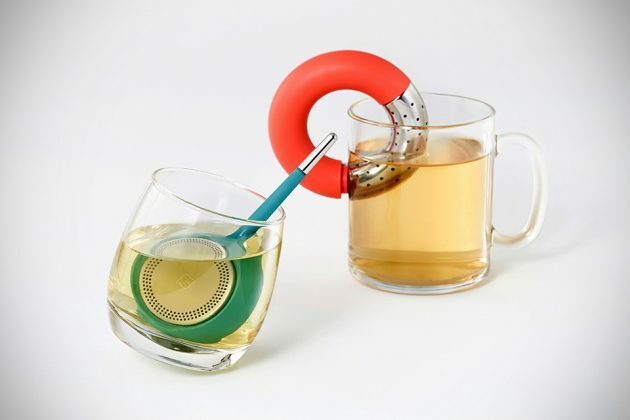 As for Koma and Torus, they are tea infusers designed to suit different style of tea drinking. The beauty of these two is, they are not immediately recognizable as tea infusers; they look more like decorative pieces, which should serve to spice up any contemporary kitchen when not in use. 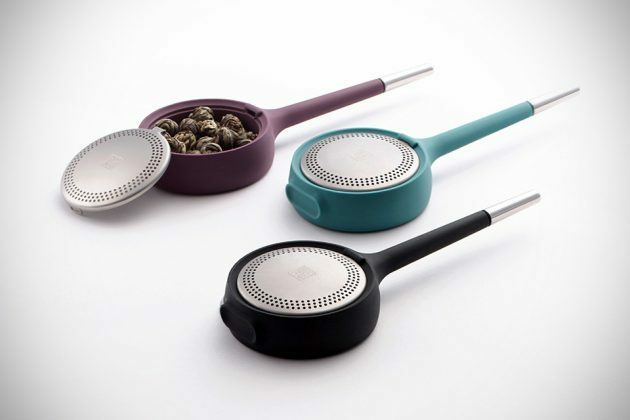 The first of the two, Koma, has a round base that incorporates a stainless tea leaves container with holes for infusion, while a long stainless steel handle allows user to stir the tea. 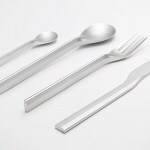 Koma is perfect for those who prefers a minimal tea drinking set up, since you can do away with teaspoon, or simply for those who have the habit of stirring. Torus, on the other hand, takes on a donut shape design that is formed from plastic and stainless steel. The latter is where tea leaves are contain and infusion takes place. 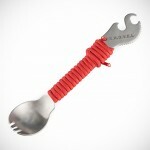 One end of the stainless steel is pulled away from the plastic body, allowing it to cling on just about any cup. 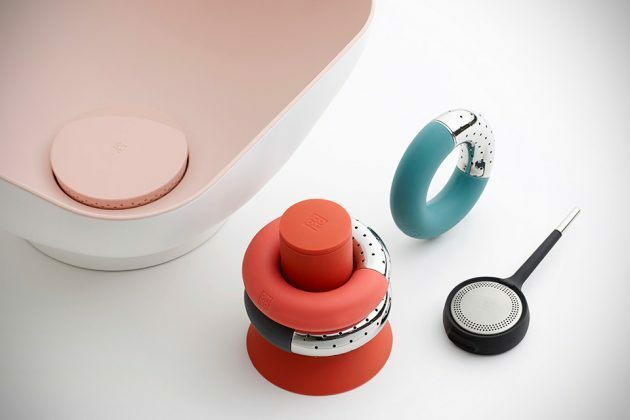 But that’s not all Torus has to offer; it actually comes with a case that holds up to three Torus when not in use and this case also serves as a dry storage for loose tea. Want them? Well, you can pick up Diga, Koma and Torus from Ommo web store for $39.90, $13.90 and $16.90, respectively. All images courtesy of Andrea Ponti.